For this festival, Microsoft’s Surface Pro, Surface Laptop, Xbox One S and Xbox One X gaming consoles can be good gifting options as festive offers are available on these devices with savings up to INR 20,000 across Microsoft Surface lineup and INR 7,699 on Xbox One family of devices available in India via key stores, Croma, Reliance, Vijay Sales and online on Amazon and Flipkart. Limited Period Festive Offer on Xbox One S and Xbox One X console with a minimum savings of Rs.3400 and an additional game worth Rs. 4299. The Surface Pro comes with 12.3” PixelSensetouch display that supports the new Surface Pen. At just 8.5mm thin and starting at 767 grams, the new Surface Pro packs the power of a 7th generation Intel Core™ processor into a new fanless, whisper-quiet design. The Surface Pro Signature Type Cover delivers a high-quality scissor mechanism and 1.3 mm of key travel for faster and more accurate typing. A full-size glass trackpad with five-finger multi-touch capabilities allows for ultimate precision, and the entire keyboard is wrapped in soft yet durable Alcantara material, creating a comfortable palm rest and beautiful aesthetic. It is priced INR 91,999 onwards (without keyboard). The Surface Laptop is powered BY a 7th generation Intel Core processor and offers up to 14.5 hours of battery and comes with 13.5” PixelSense display and Alcantara-covered keyboard. The price starts at Rs. 89,999 onwards. Surface Book 2 is packed with the latest Intel Dual-Core or Quad-Core processors, NVIDIA GeForce GPUs, and up to 17 hours of battery life. Five time more graphics performance than the original, the Surface Book 2 is available in 13.5-inch and 15-inch models. It supports four different modes, including Studio Mode, Laptop Mode, View Mode, or even Tablet mode by simply detaching the screen. It is priced INR 143,990 onwards. 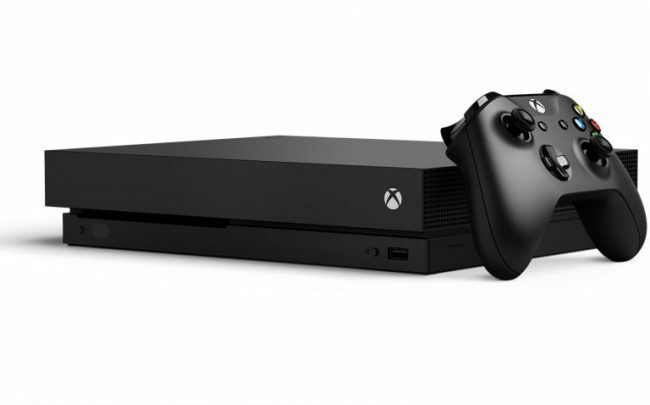 Xbox One X is an ideal for 4K gaming and comes with a built-in 4K Ultra HD Blu-ray player, 4K streaming capabilities, High Dynamic Range support for gaming and video, and premium audio that puts gamers in the center of spatial sound with Dolby Atmos support. It is priced INR 50,590 onwards and available on a discount of INR 3,400 plus popular game title worth INR 4,299 that comes bundled with no additional cost. Xbox One S is 40 percent smaller than the original Xbox One, featuring a sleek, slimline design, robot white color and a built-in power supply. It supports 4K Ultra HD for Blu-ray movies and content streamed from partners like Netflix, as well as High Dynamic Range (HDR) for video and gaming. It is priced INR 32,690 onwards and is available on a discount of INR 3,400 plus popular game title worth INR 4,299 that comes bundled with no additional cost on this console also.